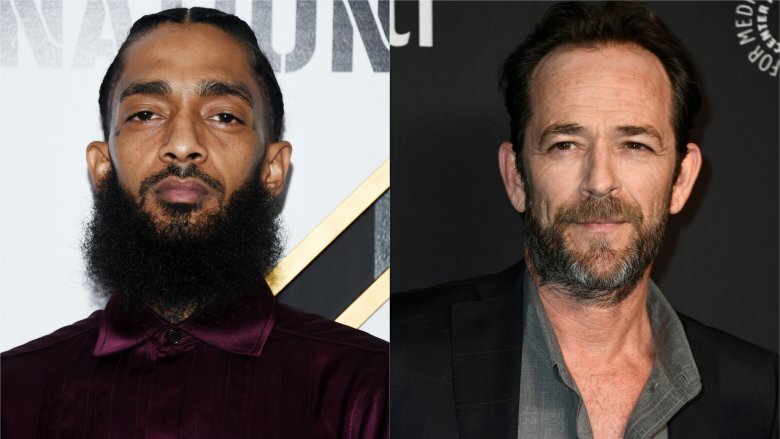 The entertainment world began 2019 in sad fashion. Three stars passed away on the second day of the year: Wrestling icon "Mean" Gene Okerlund, Curb Your Enthusiasm's Bob Einstein, and Daryl Dragon, one half of music group Captain and Tennille. Later that month, the world lost Top Chef star Fatima Ali after a heartbreaking battle with cancer and also Broadway legend Carol Channing, who played the titular role in Hello Dolly! and became a leading lady in film and television. And, in early March, the world was forced to say goodbye to Beverly Hills, 90210 star Luke Perry. These talented entertainers and household names left an indelible mark on the world, be it through acting, athletics, cuisine, comedy, music, or just high-quality smack-talk. Let's take a moment to honor the stars we've lost in 2019 and to revisit their incredible contributions to the creative arts. 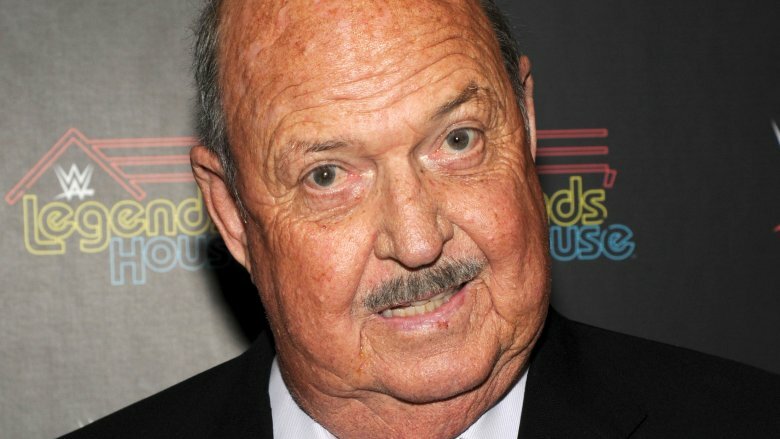 Iconic WWE interviewer "Mean" Gene Okerlund died at age 75 on Jan. 2, 2019. Okerlund had been suffering from health issues for years, undergoing three kidney transplants, according to ESPN. Okerlund was famous for his insult-heavy wrestling promos for WWE, which peaked in the 1980s with stars such as Hulk Hogan, Andre the Giant, and Randy "Macho Man" Savage. During the mid-'90s, Okerlund transitioned to WCW. His final major wrestling appearance was on Jan. 22, 2018, for the 25th anniversary of Monday Night Raw. The wrestling community was heartbroken over Okerlund's death. WWE CEO Vince McMahon tweeted, "It was impossible not to crack a smile whenever 'Mean' Gene Okerlund entered a room. He was the voice behind so many of WWE's most iconic and entertaining moments, and the WWE family will miss him immensely." Famed wrestler "Stone Cold" Steve Austin had this to say about Okerlund on Twitter: "As an interviewer, pitch man, announcer, or host, he was untouchable. Simply the best. Total professional with quick wit, sarcasm, humor, and that golden voice." Daryl Dragon of musical duo The Captain and Tennille died on Jan. 2, 2019. The "Captain" was 76 years old. Dragon was born into a musical family. His father was an Oscar-winning conductor and composer, and his mother was a singer who worked with Bing Crosby, according to The Hollywood Reporter. Dragon was classically trained and performed with The Beach Boys before achieving fame with wife partner Toni Tennille in the 1970s. 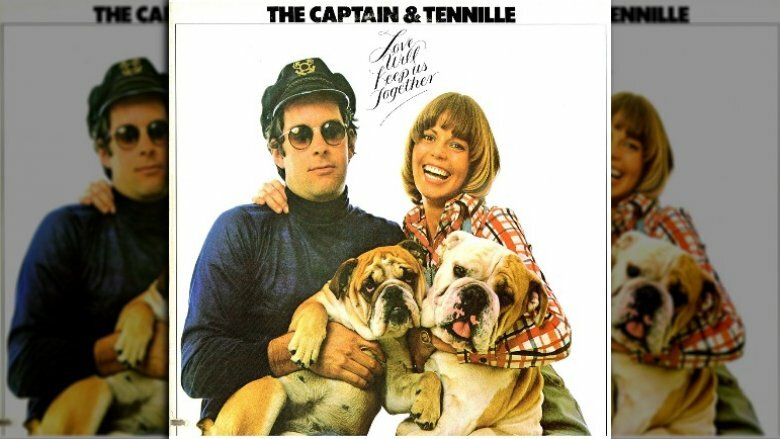 Captain and Tennille's biggest hits were its cover of Neil Sedaka's "Love Will Keep Us Together" and the No. 1 hit "Do That to Me One More Time." Dragon and Tennille tied the knot in 1975 and divorced in 2014. Following his death, Tennille revealed troubling details about the singer's private live. According to Closer Weekly, she "found out he had Parkinsonian symptoms, including tremors exacerbated by anxiety and PTSD after [allegedly] being beaten from age 4 by his famous dad, bandleader Carmen Dragon." Tennille said she moved to Arizona around 2016 to help care for Dragon. That reportedly meant "firing home health aides whom she said kept him drugged at night, finding him a new place to live with better care and visiting regularly." She was by his side when he passed. "He was a brilliant man," she said, "and I loved him with all my heart." 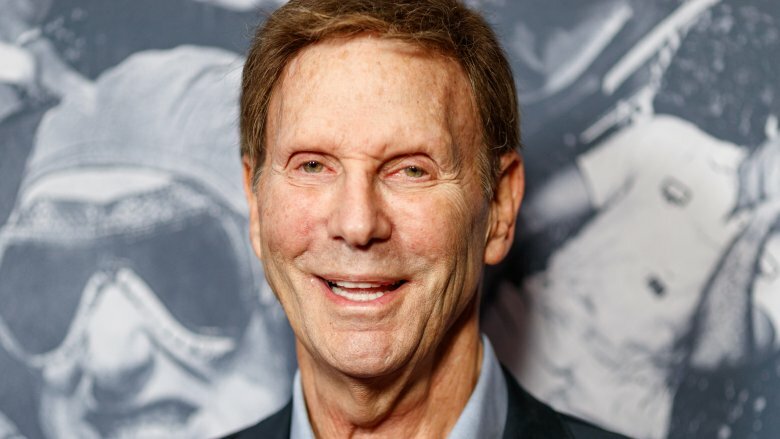 Curb Your Enthusiasm star Bob Einstein died on Jan. 2, 2019, after a battle with cancer, reported Fox News. He was 76 years old. Einstein initially planned on pursuing advertising as a career, but he was discovered by actor and comedian Tom Smothers while performing in a public access show as a favor to a friend. It led to a lucrative comedy writing and acting career, and Einstein won his first Emmy in 1969 for The Smothers Brothers Comedy Hour. In 1979, Einstein created the goofy character Super Dave Osborne, who appeared in various shorts and series for three decades. The New York Times described Osborne as "something of a cartoon character — a witless, deadpan parody of bravado-fueled stuntmen like Evel Knievel." In 2004, Einstein debuted on Curb Your Enthusiasm as Marty Funkhouser, the "perpetually enraged" pal of Larry David. "Never have I seen an actor enjoy a role the way Bob did playing Marty Funkhouser on 'Curb,'" David said (via The New York Times). "There was no one like him, as he told us again and again." 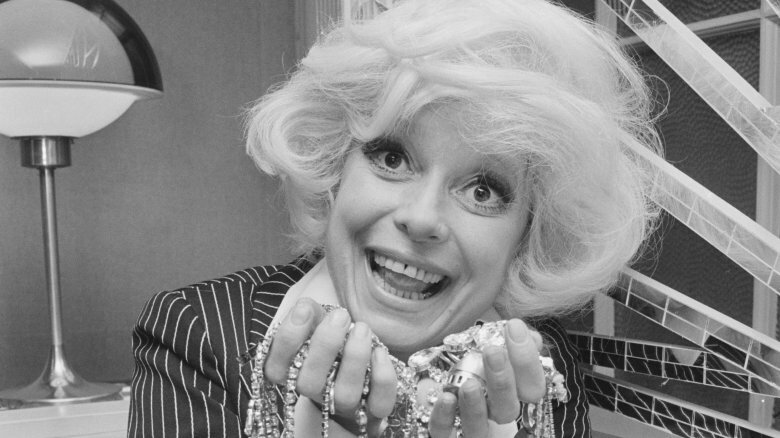 Broadway legend Carol Channing died on Jan. 15, 2019, just shy of her 98th birthday. Channing was best known for her Broadway portrayal of Dolly Gallagher Levi in Hello Dolly! According to Playbill, she played that role three separate times within 30 years and won a Tony for the part in 1964. Channing became a stage star with her Tony-winning role of Lorelei Lee in Gentlemen Prefer Blondes in 1949, but was replaced for the 1953 film adaptation with Marilyn Monroe, reported Playbill. She made her mark on the silver screen playing nightclub singer Muzzy Van Hossmere in 1967's Thoroughly Modern Millie – she was nominated for an Oscar and a Golden Globe for that role. She later became a television staple, appearing in everything from game shows to Touched by an Angel to Family Guy. Channing was inducted into the American Theatre Hall of Fame received Lifetime Achievement Awards from the Tonys and the Drama Critics Circle. Channing was married four times, but her final wedding in 2003 may have had the sweetest story line. According to The Hollywood Reporter, "In her 2002 memoir, Just Lucky, I Guess, Channing reflected on her first love at Aptos Middle School in San Francisco, saying, 'I was so in love with Harry [Kulijian] I couldn't stop hugging him.' A mutual friend who read the book urged the recently widowed Kullijian … to call Channing. They got engaged two weeks after their reunion and wed three months later." They were together until his death in 2011. 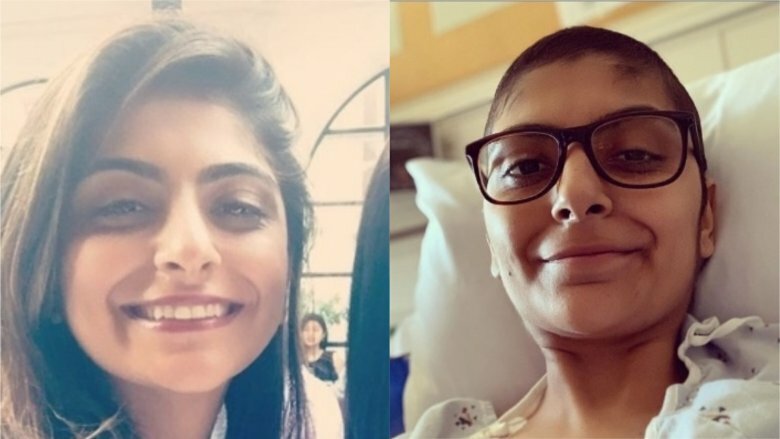 Top Chef star Fatima Ali died on Jan. 25, 2019 at just 29 years old after battling a rare form of bone cancer. The New York City chef was featured on the 15th season of the hit Bravo TV show. In October 2018, Ali penned a heartbreaking essay in Bon Appetit revealing that she had only about a year left to live. During that time, she pursued her bucket list, which included meeting Ellen DeGeneres and traveling the world to dine at renowned eateries. She recalled one particularly special dinner in a subsequent essay for the culinary magazine. A restaurant manager had "made a replica of my food stall, VanPakistan, in the kitchen. Down to the tablecloth. Down to the kind of napkin dispenser I had. The chef made the most delicious, melt-in-your-mouth Seekh kebabs I've ever had, with flatbread and pickled onions and green chutney they had made just for me. My mom was in tears, bawling. My older brother was crying. Everyone was hugging each other." In November 2018, she wrote (via Bon Appetit), "There are days that I'm exceptionally afraid. There are days I sit alone and cry, because I don't want to do it in front of my family. And there are other days that we all sit down and cry together, because it is such a scary thing. But at the same time, you can't let that fear cripple you. It's harder being miserable than it is to be happy." 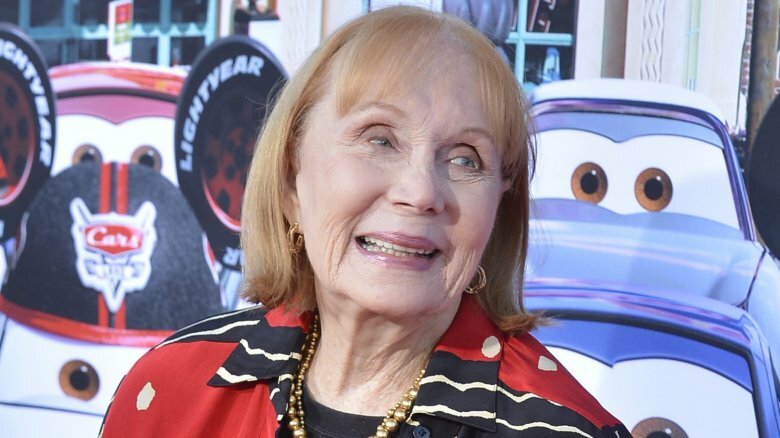 Katherine Helmond died at 89 on Feb. 23, 2019 from Alzheimer's complications, The New York Times reported. The Texas native began her career on local stages. After moving to New York City, Helmond and her pals "ran a summer theater in the Catskills" and put on plays themselves. Helmond eventually landed parts on Broadway, nabbing a Tony nomination for her role in The Great God Brown. Soon, she moved to Los Angeles and scored television work on The Bob Newhart Show before landing her breakout role as Jessica Tate on Soap in 1977, for which she won a Golden Globe and was nominated for four Emmys. After Soap, Helmond starred as the sassy Mona on Who's The Boss? from 1984 to 1992, followed by a recurring role on Coach from 1995 through 1997, then an Emmy-nominated turn as Lois Whelan on Everybody Loves Raymond from 1996 to 2004. Helmond's most recent work included a role on True Blood in 2011, voicing Lizzie in Disney's Cars franchise, and Frank And Ava (2019). Helmond is survived by husband David Christian, who told The Hollywood Reporter, "She was the love of my life. We spent 57 beautiful, wonderful, loving years together, which I will treasure forever. I've been with Katherine since I was 19 years old. The night she died, I saw that the moon was exactly half-full, just as I am now … half of what I've been my entire adult life." 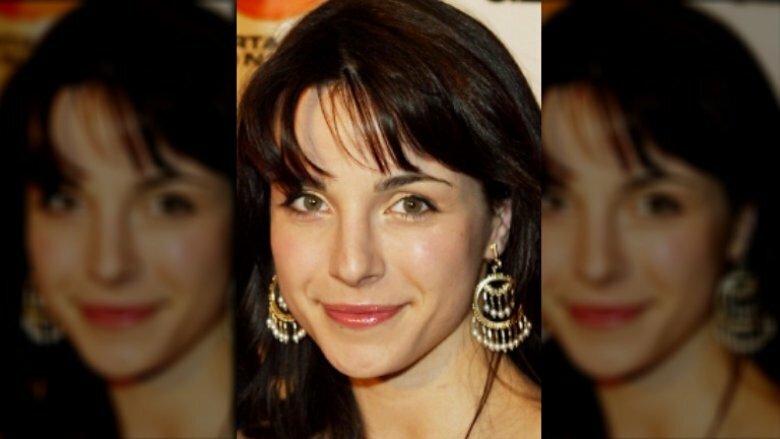 Actress Lisa Sheridan died on Feb. 25, 2019 at her New Orleans, La., home. She was 44 years old. Sheridan worked steadily, mostly in television, from the late 1990s until her untimely passing. Her breakout role was as Vivian Winters in Legacy in 1998, then as Chloe Tanner in FreakyLinks in 2000. Sheridan had roles on CSI, CSI Miami and CSI: NY, and NCIS. Her biggest starring roles were in Invasion in 2005 and Journeyman in 2007. In 2014, she starred as Rebecca in Halt And Catch Fire, and her most recent role was in indie thriller Strange Nature (2018). She was previously engaged to actor Ron Livingston, according to People, but they never married. Sheridan's cause of death was unknown, her manager told Fox News, but said her family vehemently denied any possibility of a suicide. Rumors that the Halt And Catch Fire star may have taken her own life were possibly spawned by an Instagram tribute from her friend, director Michael Dunaway. He wrote in part, "I'm trying to take comfort in knowing your struggles and pain and grief are 'at last, and last behind you.'" 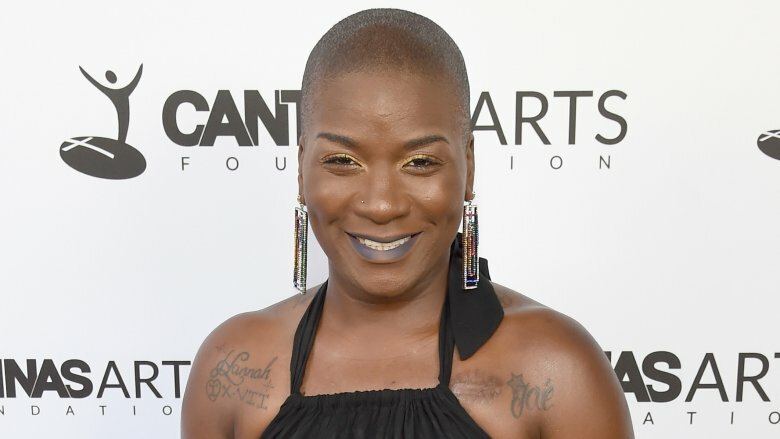 The Voice singer Janice Freeman died on March 2, 2019. She was just 33 years old. Freeman's family said in a statement that she suffered from a blood clot that traveled to her heart as well as from pneumonia at the time of her passing. She reportedly was at home in West Covina, Calif., when she said she couldn't breathe. Her husband performed CPR on her until paramedics arrived; she was pronounced dead at a local hospital. Freeman suffered several other major medical issues throughout her life, including the autoimmune disease lupus, and cervical cancer. Freeman was on Team Miley during her time on The Voice in 2017 and remained in contact with Miley Cyrus after being eliminated from the top 11. They were so close, in fact, that Freeman revealed that Cyrus paid her rent for six months and helped her find a place to live. Freeman's time on the show focused on her desire to build stability for her family, as well as her overcoming cervical cancer in 2012. Cyrus honored Freeman on Instagram, writing, "I am no longer your coach, I never was … YOU constantly taught me. You've been my coach on how to love, on how to persevere, on how to fight for what I want and never let even my own body get in the way. Anything is possible if it's being done with faith. You are my world. I will never forget you or stop loving you." 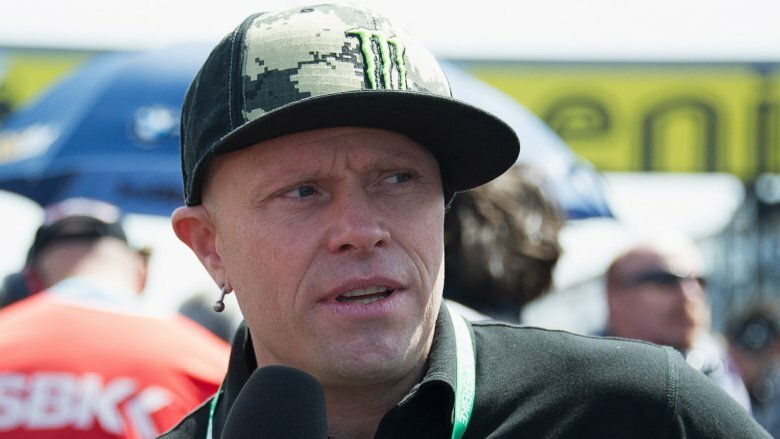 Keith Flint, frontman of the electronic band The Prodigy, was found dead at age 49 on March 4, 2019. The Guardian reported that police were conducting a welfare check on the singer when they found his body. Police told the outlet that Flint's death was "not being treated as suspicious." The Prodigy co-founder Liam Howlett stated on the band's Instagram that Flint had taken his own life. Flint was candid about his battle with addiction, and how a falling out with the band helped him clean up ahead of their 2009 reunion. "I got bang into coke, weed, drinking a lot," Flint told The Times (via The Mirror). "This made me reclusive, boring and shallow. I'd line up rows of pills and just take them and take them and I'd lose track of how many until I passed out." Flint reportedly said in the same interview that he'd felt suicidal in the past. In the years prior to his death, Flint slowed down his hard-charging ways. After marrying his wife, Japanese DJ Mayumi Kai, he reportedly retreated to "a quiet life in the country," where he "ran a genteel country pub" and spent his free time exercising. Of the change of pace, Flint said (per The Mirror), "It's very boring and very un-rock'n'roll to talk about it." The Prodigy released their album No Tourists in November 2018, and were set to kick off their first U.S. tour in over 10 years in May 2019. 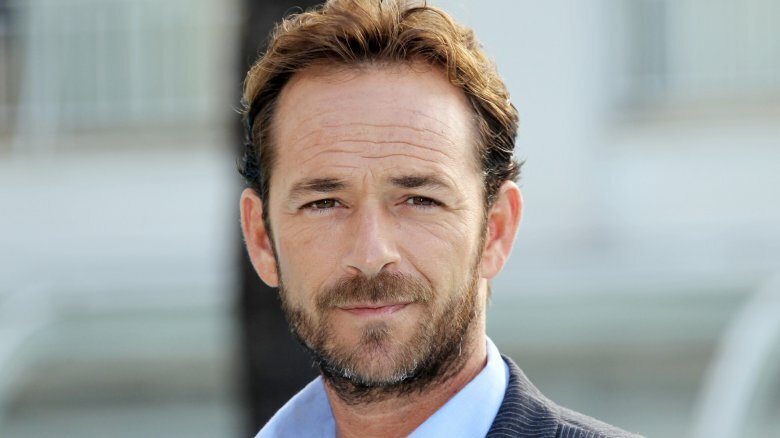 Luke Perry passed away on March 4, 2019. TMZ reported that the Beverly Hills, 90210 and Riverdale star suffered a massive stroke days earlier. Doctors had sedated the actor in hopes of his brain recovering, but Perry tragically suffered too much damage. He was reportedly surrounded by loved ones at the time of his death. He was 52 years old. Born Coy Luther Perry III, the Mansfield, Ohio native's breakout role was as Dylan McKay on 90210 in 1990. He had starring roles in the original Buffy the Vampire Slayer film (1992) and The Fifth Element (1997). After his 90210 heyday, Perry worked steadily in Hollywood, most recently as Archie Andrews' father, Fred, in Riverdale. He also reportedly filmed scenes for Quentin Tarantino's 2019 Manson murders film Once Upon a Time in Hollywood as Scott Lancer. Perry's stroke wasn't the only health issue he'd suffered over the years: In 2017, Perry revealed to Fox News that he'd had precancerous growths removed following a colonoscopy. After his experience, he became an advocate for colorectal cancer awareness. Though Perry wasn't always eager to discuss his iconic role as brooding rich kid Dylan McKay, he once admitted (via The Hollywood Reporter), "I'm going to be linked with him until I die, but that's actually just fine. I created Dylan McKay. He's mine." 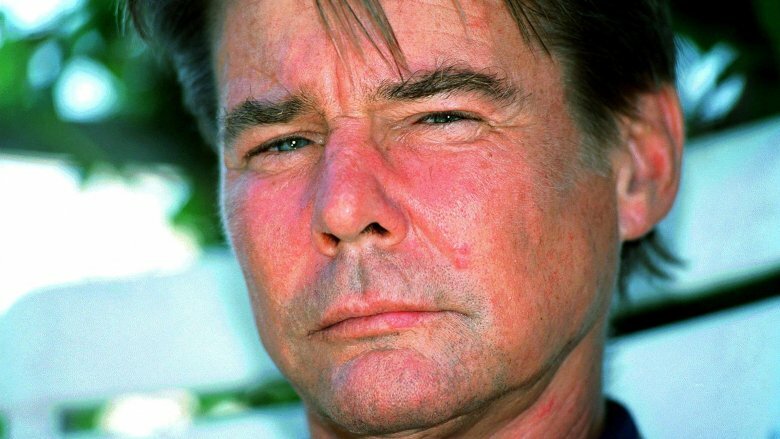 Airwolf star Jan-Michael Vincent died Feb. 10, 2019 at 73 years old, but his passing wasn't reported until nearly a month later, according to TMZ. He was reportedly hospitalized in North Carolina when he died of cardiac arrest. Vincent was once the highest-paid actor on TV, banking $200,000 per episode as a helicopter pilot on the CBS hit Airwolf in the 1980s. Unfortunately, his star burned out rapidly due to his alleged substance abuse. According to The New York Times, "He was known to abuse alcohol and cocaine and was accused of getting into bar fights; he narrowly avoided jail in 1986 by entering a monthlong drug rehabilitation program after breaking probation related to an earlier drunken-driving conviction." In 1996, he reportedly broke his neck and damaged his vocal cords after rear-ending his girlfriend's car, and in 2012, he had to have part of his leg amputated due to an infection. He told 20/20 (via the NYT) in 2000 that he was "hanging on by [his] white knuckles" to his sobriety. Despite his struggles, Vincent worked fairly steadily for nearly 30 years, with roles in television series including Gunsmoke and Bonanza and movies such as 1978's Hooper and 1981's Hard Country. His most recent role was in 2002's White Boy. Dutch model and former Miss Teenager Universe Lotte Van Der Zee died March 6, 2019, her parents revealed on her Instagram account. Van Der Zee, who won the Miss Teenager Universe title in 2017, suffered a heart attack during a ski trip with her family in Austria and died two weeks later, People reported. According to E! News, she began to feel unwell one afternoon, "suffered sudden cardiac arrest," and "fell into a coma." She had recently celebrated her 20th birthday. "It started with her kidneys. She was then put on kidney dialysis, which kept her alive," Van Der Zee's mother told a Dutch paper (via The Evening Standard) that the family was faced with the difficult decision to say good bye. "The last days Lotte's organs started to go, while no more brain activity was measured," she said. Eventually, "it became clear on [March 6] that it would not be okay, she was taken off the machine. Lotte has had to endure a lot over the past few days. We did not want any further suffering." Freeda Foreman, daughter of boxing legend George Foreman, died March 9, 2019, in her home near Houston, Texas. She was 42 years old. TMZ reported that Freeda committedsuicide by hanging. A heartbroken George honored his daughter on Twitter: "First Sunday in 42 years without my Freeda. She's With her maker now." Like her father, Freeda had a career in the ring, though hers was much more brief. According to Entertainment Tonight, she won her first five matches in 2000 but retired after her first loss in 2001. "I've been in boxing since I came into this world," Freeda told The Greenville News. "Anything that's strong and tough, it's what I want to do. It's something I always really loved." George initially disapproved of his daughter's boxing endeavors, reportedly offering her money to forego the endeavor "I asked Freeda not to do it, but I think my mom did the same with me over 33 years ago," he said (via The Greenville News). 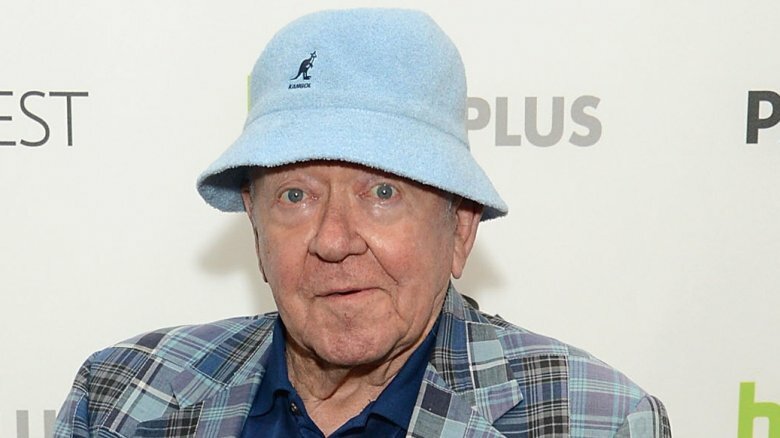 Richard Erdman died at 93 on March 16, 2019. A longtime character actor, Erdman caught the acting bug when he moved to Hollywood from Colorado as a high school student, Variety reported. Erdman's career spanned some 70 years and more than 100 works, beginning with short films in the 1940s and branching into television in the 1950s, with appearances on Alfred Hitchcock Presents and Make Room for Daddy as well as a recurring role on Where's Raymond? He had memorable roles in The Twilight Zone, Perry Mason, Saints and Sinners, The Tab Hunter Show and Lou Grant. Erdman was a prolific voice actor, providing his pipes for everything from Popeye and Son to Scooby-Doo and Scrappy Doo to The Smurfs. His most recent role was that of Leonard, an elderly student, on Community from 2009 to 2015. His co-star Yvette Nicole Brown paid tribute to him on Twitter, writing, "I knew the day we'd have to say goodbye to this lovely man would come sooner than any of us were ready. But knowing that doesn't make it any easier. #RichardErdman was JOY walking. Anyone who saw him on @CommunityTV [gleefully] stealing every scene he was in knows that's true." 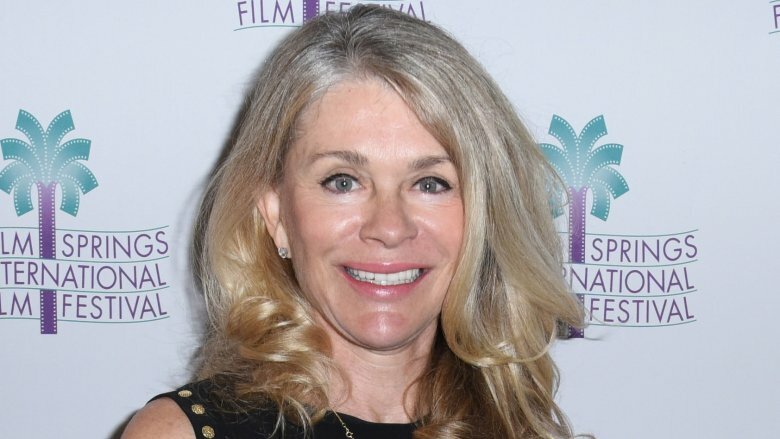 Actress Denise DuBarry Hay passed away on March 23, 2019, at age 63. DuBarry Hay suffered from a deadly fungus, her husband, Bill Hay, told USA Today. The actress got her start on popular TV series such as CHiPs, The Love Boat and Black Sheep Squadron as well as the Academy Award-nominated film Being There (1979). When she wasn't acting, DuBarry Hay was a savvy businesswoman. According to Deadline, she co-founded the marketing company Thane International in 1990 and was named Ernst & Young Entrepreneur of the Year in 1998. The company began after DuBarry Hay produced an infomercial for "Play the Piano Overnight," which reportedly led to an entire "Music Overnight" series for the brand. She also served as founder and president of the Palm Springs Women in Film and Television group. DuBarry Hay continued acting, appearing in 2017's Do It or Die! and Walk to Vegas in 2019. 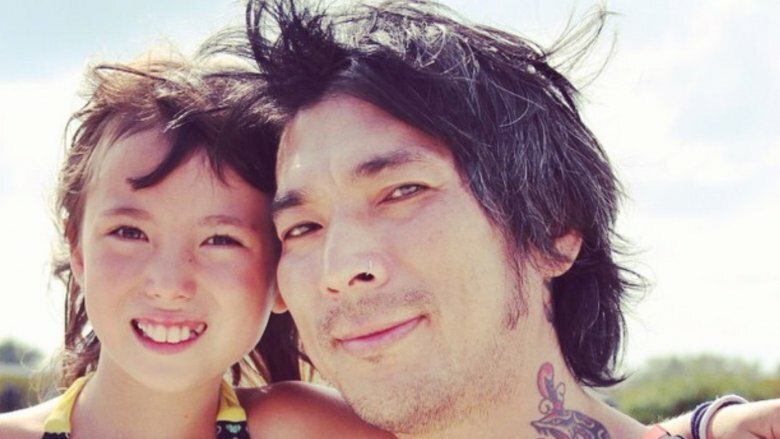 Former Miami Ink star and Japanese tattoo artist Yoji Harada died March 27, 2019 at just 46 years old. According to Inked magazine, he was in Holland at the of his passing, having opened a tattoo shop in Amsterdam around 2011. At the time of his death, he also ran a T-shirt line, Ruthless and Toothless, with Miami Ink co-star Darren Brass. Harada was reportedly born in Tokyo, moved to Chicago in 1998, and then landed in New York City. "Harada performed in the punk band 'Big Deal,' before relocating to Miami to be apprenticed by Ami James," the mag reported. From 2005 to 2008, Harada starred alongside James at the Love Hate Tattoo Shop in Florida. Harada made waves on Miami Ink during his journey from apprentice to full-fledged artist. At one point, his colleagues made him walk in his boxers from the city's Little Havana neighborhood to South Beach to complete his "initiation" with the shop. He also conveyed his struggle with work-life balance on the reality series, and his wife, Bridget, revealed in an episode that the tattoo business got in the way of their relationship. They divorced in 2009. James launched a GoFundMe for Harada's daughter, Sidney, after Harada's passing. 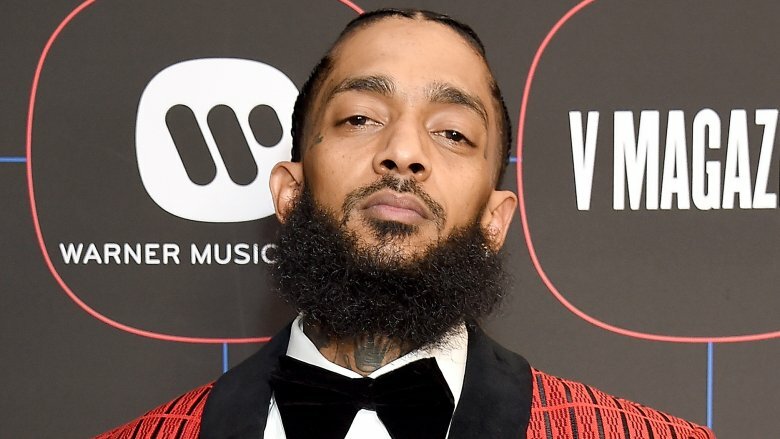 Rapper Nipsey Hussle (real name Ermias Asghedom) died March 31, 2019. He was just 33 years old. The Grammy-nominated "Hussle & Motivate" artist was outside of his clothing store in downtown Los Angeles when 29-year-old Eric Holder allegedly gunned him down. According to the Los Angeles Times, law enforcement claimed Holder had a personal vendetta with Hussle for some time; the men reportedly had an argument a few hours before the shooting. A memorial was held for the rapper at the Staples Center in Los Angeles, with celebrities such as Beyoncé and Jay-Z in attendance. Snoop Dogg, Hussle's longtime girlfriend Lauren London, Nation of Islam Minister Louis Farrakhan, and others delivered speeches in his memory. Even former president Barack Obama wrote a letter remembering Hussle's dedication to improving his Crenshaw neighborhood. During the memorial, Stevie Wonder performed, telling the crowd: "I'm happy that in his short life, he was able to motivate people. And I hope he motivates you to say, 'Enough people being killed by guns and violence.' I hope we don't just talk about it. I hope we'll be about it." In her eulogy, London used Hussle's own words to memorialize him: "…he always used to say this: 'The game is going to test you but never fold, stay 10 toes down. It's not on you, it's in you and what's in you they can't take away.' He's in all of us." Bond girl Nadja Regin died April 6, 2019, at age 87. Regin was born in Serbia and studied in Belgrade before becoming an actress, Variety reported. She began her career in British movies and TV shows with roles in The Saint and Edgar Wallace Mysteries. She was most famous for her roles as Bond girls Bonita in 1964's Goldfinger and Kerim's Girl in 1963's To Russia With Love. 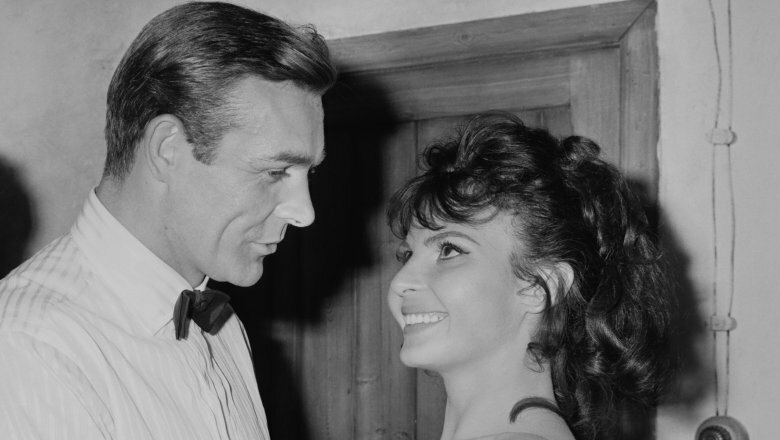 In both films, she starred alongside Sean Connery (see here with Regin), who played Agent 007. Regin appeared to have left acting in 1968 after starring in Comedy Playhouse. In the 1970s, she selected scripts for Rank Film and Hammer productions, and in the 1980s, she became became a publisher, co-founding Honeyglen Publishing, reported Variety. Her love for the written word didn't end there: In 2016, Regin published her own novel set in post-World War II Europe, The Victims and the Fools, under her full name, Nadja Podergin.